Carbon fees put a price on greenhouse gas emissions, paid by fossil fuel companies and large industrial emitters, so that the market can internalize the externality of the impact of such emissions. This could take the form of a carbon fee, also called a carbon tax, which would begin to capture the numerous external costs of coal. There are many different ideas on how this fee would be implemented and used, but the primary goal is to create better market conditions for cleaner energy development, such as renewable energy. EPA attorneys Laurie Williams and Allan Zabel define carbon fees as "amounts that would be paid when fossil fuels enter the economy. These fees would be charged when oil, gas, or coal are imported or extracted from the ground. The purpose of carbon fees is to insure that, within a set time period, the price of fossil fuel energy exceeds the price of clean energy from sources such as wind and the sun." Carbon fees are different from the carbon trading models being debated in bills like the Clean Energy Jobs and American Power Act, as carbon fees involves a more straightforward cost on carbon rather than a financial trading schema involving carbon offsets. The fees could be returned to the public in the form of a cap and dividend program. Such a proposal is also favored by NASA scientist James Hansen as a more effective alternative to a 'cap and trade' system: "place a uniform rising price on carbon, collected at the fossil fuel source – the mine or port of entry. The fee should be given to the public in toto, as a uniform dividend, payroll tax deduction or both. Such a tax is progressive – the dividend exceeds added energy costs for 60% of the public." A 2012 report from the Congressional Research Service, "Carbon Tax: Deficit Reduction and Other Considerations," found that a carbon tax of $20 per ton that rises 5.6 percent annually could cut the projected 10-year deficit by 50 percent — from $2.3 trillion down to $1.1 trillion. 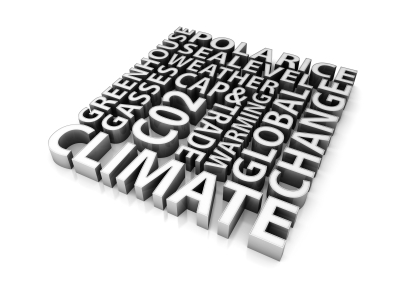 ↑ James E. Hansen, "Copenhagen summit: Is there any real chance of averting the climate crisis? ", The Observer (UK), November 29, 2009. This page was last edited on 25 September 2012, at 17:07.